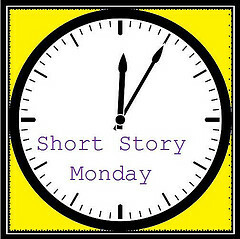 For Short Story Monday, hosted by John at The Book Mine Set, I read a story from the Bata Shoe Museum. Yes, you read that right. How cool is that? First, there is a museum dedicated to shoes. Second, it shares its collection online, and solicits written pieces from diverse shoe-wearers. This particular collection is about immigrant women to Canada. My favourite of The Shoe Project is The Wind Beneath My Feet, by Tanaz Bhatena. It is a story of a journey, not just about immigration, but a journey to find one's own version of womanhood, and the story of expectations of others versus those of oneself. Bhatena does a fantastic job of describing what it is like for a woman to go from one culture in which women are treated a certain way to another culture which is its polar opposite. Not only is the subject interesting for an immigrant to me, Bhatena' use of language is excellent, and I hope to see something published by her in the future. When I first moved to Japan I had trouble with wardrobe. The slightest bit of cleavage is considered inappropriate here, although most work clothes in Canada (v-neck sweaters!) are made in that style. However, skirts are shorter in this country than any other I've been in, so I admit to getting angry at that double standard! It's hard to shop at home for clothes to be worn in Japan, actually. This gives me an appreciation for Bhatena's wardrobe culture shock. Go ahead, read them all! Which shoe story is your favourite?